Dr. Bruce Holub is University Professor Emeritus, Department of Human Health & Nutritional Sciences at the University of Guelph. He is the founder of the DHA/EPA Omega-3 Institute, which provides the most thorough and comprehensive body of knowledge and research relating to omega-3 fatty acids available on the internet. Bruce has authored over 200 papers in scientific journals (medical, nutrition, other) in addition to various book chapters and conference proceedings. His research program is focused on dietary omega-3 fatty acids from fish/fish oils, plant oils, and resulting nutraceuticals plus functional foods for human health and the prevention/management of cardiovascular disease and other chronic disorders. Bruce has been active in the evaluation of nutraceuticals and agri-foods for improving human health, disease prevention and management, and their potential for considerable cost-savings to the healthcare system. He has also been studying the composition and health risks associated with foods containing ‘trans’ fatty acids. Bruce also maintains active collaborative research with clinical groups at various Canadian medical schools, the Mayo Clinic in the United States, Japan, Greenland, and the agri-food sectors. He has spoken at over 300 off-campus events (invited speaker-to universities, international conferences, food companies, medical groups, government agencies, lay groups) in over 15 countries. Bruce has over 30 appearances on national TV in Canada (national news on CBC, CTV, Global, in addition to talk shows including ‘Marketplace’, ‘Michael Coren Live’, ‘2nd Opinion’, ‘Medical Hotseat’, and others). He has given over 200 interviews for various newspapers in Canada and the U.S. (Globe and Mail, Toronto Star, National Post, Montreal Gazette, Hamilton Spectator, etc) and magazines (Men’s Health, Prevention Magazine, Chatelaine, McLean ‘s, etc). Bruce received his B.Sc. 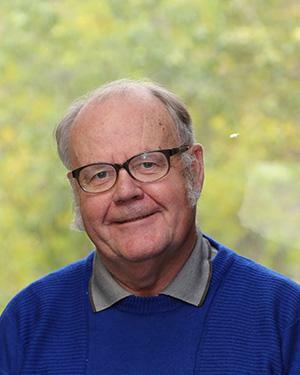 degree from the University of Guelph (1967), Ph.D. (Major in Biochemistry with Minor in Nutrition) from the University of Toronto (1971), and received Post-doctoral training as an MRC Fellow at the University of Michigan Medical School. He has served as President, Nutrition Society of Canada and Chair, Nutrition Task Force (Heart & Stroke Foundation of Ontario).